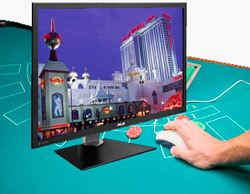 Start firing up those keyboards: online gambling is up and running in New Jersey. After a five-day test run revealed no lasting significant issues, the New Jersey Division of Gaming Enforcement gave the go-ahead to six Atlantic City casinos to allow players from across the state to take part in online casinos and poker rooms. 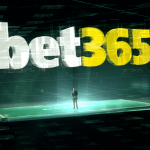 That means that as of 12:01 am Tuesday, the era of regulated online gambling in the Garden State had begun. The move makes New Jersey only the third state in the U.S. to allow widespread, regulated online gambling. Nevada was the first, though it only approved online poker. Delaware has also allowed both poker and casino games in their online gambling system, but its tiny population of less than a million pales compared to New Jersey’s nine million – and that’s not counting people who drop in as tourists. According to regulators, as many as 10,000 users tested the websites during the five-day test run. While traffic could be much higher than that, they feel that this is enough to feel confident that the various sites can handle the job. “I don’t expect any widespread, significant problems,” said David Rebuck, director of the Division of Gaming Enforcement. While six casinos were able to immediately go live to a wider audience, one will have to undergo more testing before New Jersey residents at large can try it out. 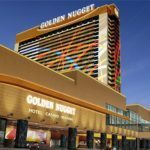 The Golden Nugget Atlantic City was required to wait before being cleared for unrestricted play due to content issues that both the casino and regulators considered unacceptable. However, Pohlman said that the issues could be cleared up in a week or less, though he emphasized that they wanted to get it done right, not fast. “This is not a sprint for us; it’s a marathon,” he said. One of the few issues that came up during the five-day test run was the fact that some gamblers were locked out of the system by the geolocation software used to determine if players were actually inside the New Jersey borders. According to Rebuck, that’s an issue for the companies running that software and the casinos themselves rather than state regulators, as it didn’t seem to be a widespread issue. 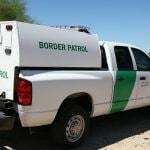 In addition, that technology was meant to keep people from other states out – a job it was doing, just perhaps a little bit too well. Providers say that they can adjust the software to lock out fewer New Jersey residents as time goes on, which should reduce these issues significantly. 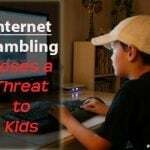 Another issue – the fact that many banks won’t allow their issued credit and debit cards to be used for online gambling – should lessen as time goes on and banks are able to make adjustments to their policies to account for the now-legal status of Internet betting in New Jersey. Depending on who you believe, the introduction of online gambling to New Jersey could be a small shot in the arm for the struggling land casino industry there, or it could be a revolutionary move that is as big for the state as when Atlantic City first started hosting brick-and-mortar casinos back in 1978. The truth will start to come out in January, when New Jersey will release the first round of online gambling revenue figures, along with the rest of the monthly casino financial reports.